Are you financially prepared to retire, or just hoping for the best? As you get older, questions of retirement move to the front of your mind, and the most important question of all is: how much money will I need to retire comfortably? Average life expectancy for Australians is now over 80 years for both men and women1 . This means that if you retire at age 60, you’re looking at another couple of decades of living expenses. And this is just the average. If you’re healthy, you might live to be 85, 90 or even more. Where is the income for all those years going to come from? More importantly, what happens when unexpected expenses crop up along the way – as they always do? Most of us want to retire sooner rather than later. But these days, continuing to work is often less about personal choice and more about financial necessity. According to a Mercer2 (consulting firm) survey, less than 30% of working Aussies aged 50-80 believe they will have enough savings to retire on at the age they want to quit work. Even more alarming is the finding that around 40% of us are forced into retirement earlier than we’d planned because of illness or redundancy. Obviously, when it comes to retirement, our ‘best laid plans’ aren’t always easy to translate into reality. 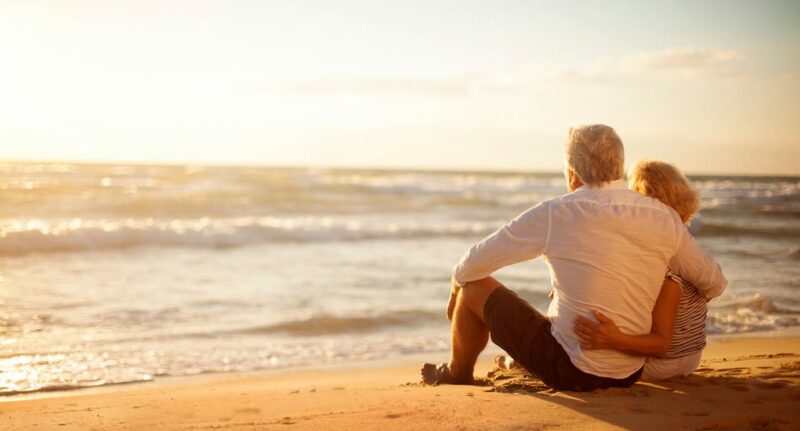 The ASFA (Association of Superannuation Funds of Australia) retirement standard estimates that a couple wanting a ‘comfortable retirement’ would need $58,128 per year to live on, and a couple aiming for a ‘modest retirement’ would be spending $33,664 annually3 . However, this is calculated on fairly basic needs – what if you want to travel, invest or leave something behind for your children and grandkids? Everyone has their own idea of ‘comfortable’ and ‘modest’, but one thing is certain: leaving yourself too little money for your golden years can be incredibly distressing. If you use basic calculation and multiply these annual figures by 20 or 30 years, you can see that even a no-frills retirement doesn’t come cheap. What if you want to travel, invest or leave something behind for your children and grandkids? Everyone has their own idea of ‘comfortable’ and ‘modest’, but one thing is certain: leaving yourself too little money for your golden years can be incredibly distressing. The key to a happy retirement is to start saving as early in life as possible. This is tough when you’re raising children, paying off a mortgage and dealing with increased living costs. But every little bit of savings helps in the long run. With prices of food, housing, petrol and just about everything else going up for Australians, the lesson is clear: there are definite advantages in starting to save for retirement as early as possible. Just because we’re living longer doesn’t necessarily mean we’re living better. According to the Australian Institute of Health and Welfare (AIHW), Australians are now living about a quarter of a century longer than we were 100 years ago. That’s the good news – and it has much to do with a marked decrease in infant and child mortality. The bad news is that chronic ‘lifestyle diseases’ are currently taking a huge toll on our health. AIHW research shows that chronic diseases (cancer, cardiovascular disease, diabetes, etc.) are the leading cause of disability, illness and death – and were responsible for 90% of all deaths in 2011. Their findings also show that only 8 percent of Aussie adults eat enough vegetables, less than half of us eat enough fruit and over 63% of us are overweight or obese. Poor health habits combined with an aging population create a potentially expensive combination. Not only for individual retirees, but for an already stretched national health system4 . What all this means is that you have to expect medical costs, whether in the form of prescription medications, hospital stays or trips to the doctor, to rise as you age. And these extra costs should be factored in to your decision about when to retire, and how much money you’ll need to do so without hardship. There are a number of things Australia does better than any other country on earth. Now, if being ‘the world’s largest single provider of goat meat’ or ‘having more dangerously venomous snakes than any other country’ 5 fails to fill you with national pride, just wait – there’s more. Recent research confirms that Australians also lead the world in generosity when it comes to leaving behind an inheritance for their families6 . And that inheritance isn’t necessarily provided as a lump sum payment. It can often be distributed over time in the form of assistance in helping offspring cope with major expenses. The most common examples are marriage, education costs and a mortgage. Whether you’re approaching retirement age or already past it, the inheritance you plan to leave your family (gradually or all at once) becomes an important part of your financial planning. Of course, this high rate of inheritance has a downside. Some younger Australians may rely too heavily on funds from their parents to pay for their own retirements. This can lead to complacency when it comes to creating a sensible, long-term savings strategy. Whether you’re approaching retirement age or already past it, the inheritance you plan to leave your family (gradually or all at once) becomes an important part of your financial planning – unless, of course, you intend to spend every last cent you own on a luxury catamaran so you can sail the South Pacific indefinitely, sending your loved ones occasional postcards of Tahitian sunsets…. If you should pass away suddenly, would your spouse be able to cope with the financial burden that follows? Just as we do our best to look after our loved ones during our working life, we also want to make sure they’re financially cared for if we’re no longer around to take care of them. Life insurance is incredibly important, and should always be factored into retirement costs. The last thing you want is to leave your spouse with a mountain of debt during a difficult time. Life insurance can help them deal with everyday living expenses and funeral costs. Insurance can provide a safety net for your spouse so they can maintain their lifestyle and adequately manage their financial responsibilities when you’re gone. Once retirement age rolls around, it’s common for many Aussies to consider selling their house and moving elsewhere. There can be many different reasons: perhaps the children have all grown up and moved away, or the old neighborhood isn’t what it used to be, or the house maintenance and upkeep seem to be increasingly time-consuming; maybe you’re selling for health reasons or looking for a lifestyle change. Downsizing your home in retirement isn’t a decision to be taken lightly, however. There are important questions to consider, and seeking the advice of a financial planner is a wise move. They’ll make sure you fully understand your options and how much money you’ll need to achieve your goals. 1. Are you psychologically prepared to leave the house you’ve lived in for much of your adult life? Have you researched the area you intend to move to sufficiently to know what you’re getting yourself into? 2. Will the money you gain from selling your home affect your age pension entitlements? The Department of Human Services can provide more information on this. 3. Does the move put you closer to your grown children or further away, and how do you feel about that? 4. Do you grasp all the implications of selling before you buy, or buying before you sell? If there’s a big time lag between selling your old home and purchasing a new one, where will you live in the interim and how much will it cost? 5. Do you have the energy/money/time to complete the home improvements necessary to attract a better price for your home? 6. Do you own your house outright or are you still paying off the mortgage. How does this affect your downsizing options? Downsizing in retirement to improve your lifestyle can work out quite well. Make you consider all the practical, financial and emotional aspects and seek expert advice. Getting a good price for your home can help free up money for travel and sensible investments. A move into a new place that’s cheaper and simpler to maintain can help your retirement nest egg last longer. Retirees who have built up a comfortable level of financial security from investment property, home equity, superannuation, an inheritance or money in the bank want to make sure they make the most of this capital so it helps them down the track. So when a too-good-to-be-true investment opportunity comes along, sometimes it can be very tempting to jump in with both feet. Older Australians are a prime target for investment scammers offering ‘amazing returns’ and ‘guaranteed profits’. These tricksters are very skilled at separating people from their hard-earned cash so always do your research. Consult the experts and take your time before making any serious investment decision. Older Australians are a prime target for investment scammers offering ‘amazing returns’ and ‘guaranteed profits’. These tricksters are very skilled at separating people from their hard-earned cash so always do your research. Consult the experts and take your time before making any serious investment decision. ASIC (Australian Securities and Investment Commission) has a handy MoneySmart website that offers solid advice on how to avoid investment scams, as well as other useful information to help retirees manage their finances. A bad investment can certainly become the ‘hidden retirement cost’ that you never planned for, so be careful! One of the nicest things about retiring is all that extra time you have to go and explore the world. Whether your plans include a ‘grey nomad’ caravan adventure around Australia, an Alaskan cruise, an African safari or a holiday apartment in the south of Spain, it’s all going to require money. Unless you’re the stay-at-home type, chances are you’ll be travelling more than you did when you were working. And the costs of all those Buenos Aires hotel rooms, epic train journeys across Europe and 14-hour flights to wherever can really add up in a hurry. That’s why you should work out your ‘yearly travelling budget’ as a component of your financial plans for retirement. Travel is one of the easiest retirement costs to underestimate. Make sure you’ve fully allowed for it in the context of your long-term retirement goals. If you’ve planned ahead for your retirement, paying for holidays shouldn’t be a problem. Just remember that many people spend a lot more on their vacations than they originally expect to. Opportunities to over-spend are everywhere so be on the alert. For some people, going from full-time time employment to a life of perpetual leisure can be a tough emotional adjustment. But retirement doesn’t have to be all-or-nothing. Semi-retirement is an option that gives you lots of flexibility. It lets you tackle the prospect of full-on retirement at your own pace – while providing some ongoing income. For you, semi-retirement might mean working in your chosen industry but with reduced hours and/or lessened responsibilities. It might mean starting up your own part-time business or enjoying a hobby that brings in some extra cash. Or it might mean working from home doing something that makes a profit, gives you personal fulfilment and keeps you from getting bored. A happy retirement requires planning, sound financial decisions and a thorough look at all the costs involved. If you’ve made the right choices, it won’t matter that you’ll be wearing your pants higher, going to bed when it gets dark and having your dinner at 5 pm each night. You’ll be smiling!